1. 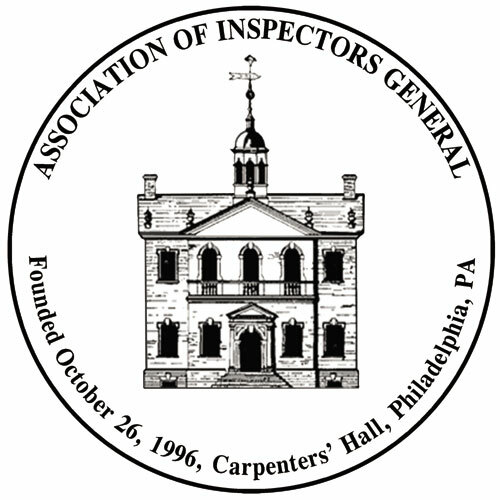 Steven Pasichow (“Steve”), Chapter President, called the meeting to order at 9:09 a.m. Steve welcomed all to the Board meeting of the New York/New Jersey Chapter (“Chapter”) of the Association of Inspectors General (“AIG”). 2. Steve asked that the people in attendance to introduce themselves to the others who were in attendance. 3. Steve described that we will be conducting the election of the Chapter Board Members, and that their term is a three-year term. Steve also said that we will be electing a Treasurer, and one Executive Board Member. There were 16 individuals who had been nominated for the position of Chapter Board Member. The Chapter By-Laws requires at least 15 Board Members. Steve proposed electing all 16 individuals as Board Members. By a show of hands by those Chapter Members who were in attendance, all 16 Board Members were voted in. The following are the names of the 16 Board Members: Ned Benton, David Boylan, Jessica Cabrera, Louis Consentino, William Courtney, John Curry, Robert Gabrielli, Steven Hamilton, Robert Joyce, Barry Kluger, Kevin McGlynn, Darren Miller, Julie O’Brien, Steven Pasichow, Brian Sanvidge, and Ned Schwartz. Steve nominated Ned Schwartz as the Treasurer, and Ned Benton seconded the motion. Schwartz was elected by unanimous vote. Steve nominated David Boylan to serve as an Executive Board Member, and Ned Benton seconded the motion. Boylan was elected by unanimous vote. 4. Steve said that we have approximately $23K in the Chapter bank account now. Previously, the Chapter did not charge for training for non-members. We now charge $35 for training for non-members, but that includes a Chapter membership. A course attendee also gets CPE credit for attending the course. This charge will help increase our Chapter membership and bank account funds. 5. The next topic was training. Steve said that we have conducted a good amount of training in the past year in places like Albany, Trenton, and at John Jay College. Mark Anderson will be coming to conduct a training course on Conducting Interviews on June 24 and 25, 2019. Steve urged all present to have their staff sign up for the course. DOI is sending a large number of people to attend. Steve is working on arrangements for the class. Steve mentioned that we are exploring conducting a Construction Fraud Course, and asked Ron Calvosa to describe the course. Ron said that Patra Liu and he were designing a course that will teach attendees about the different types of construction fraud schemes and how to investigate them. The course will be first offered to the Chapter, and then outside of the Chapter. Members in attendance expressed their interest in having their staff members attend this course. 6. Ron described that the AIG Institute will be taking place August 12 to August 16, 2019, at John Jay College, for the Certified Investigator, Auditor and IG positions. The next AIG Conference will be on September 25 to September 27, 2019, taking place in West Palm Beach, Florida. Steve said that the Chapter has to provide training opportunities in 2019, and asked that people provide ideas and assistance for training courses in 2019. 7. Steve asked that various Chapter members stand up and provide a description of their Departments, and any significant developments in their Departments. Dan Boylan talked about the NYPD OIG; William Courtney talked about NYC BIC; Steven Hamilton talked about the NYS Comptroller’s Office OIG; Barry Kluger talked about the MTA OIG; Darren Miller talked about the NYS Department of Correctional Services, Special Investigations Unit; Steve talked about the Port Authority of NY & NJ OIG; and Ned Benton talked about John Jay College. 8. Steve said that Chapter has approximately 120 regular members, and 306 student members. 9. Steve adjourned the meeting at 9:50 am. 10. The meeting was followed by a one-hour presentation from members of the U.S. Department of Justice, Antitrust Division, who described their office, its functions, its investigations, and examples of anti-competitive schemes. The presenters welcomed any cases and/or complaints that the Chapter attendees wished to bring to them for consideration. The presentation concluded at 11:00 am.